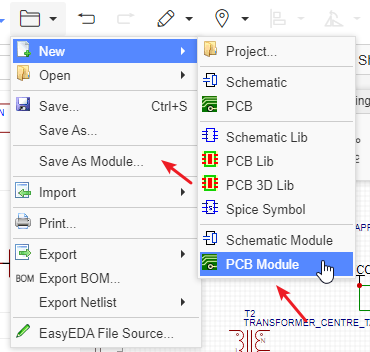 Copying codes is an easy job for coders, now copying and reusing a schematic or PCB is easy. Take a power supply unit for example, you can save this unit as a schematic module. This only save the current sheet to be the module. 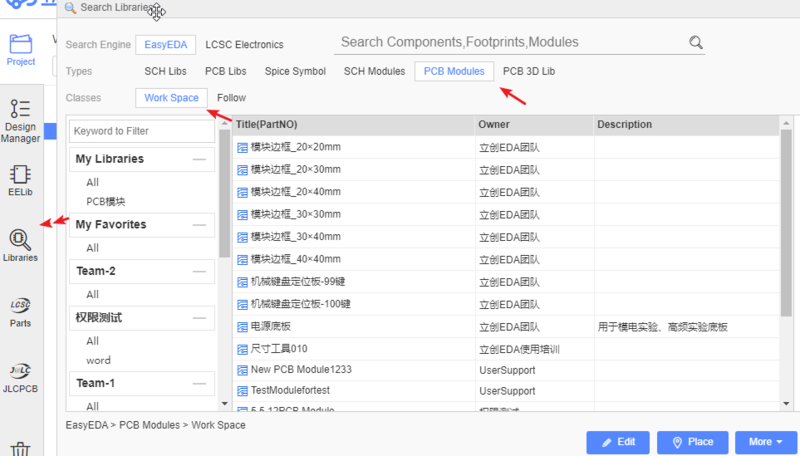 After saving, you can find it at the Libraries > SCH Modules > Personal section. And you can place the whole block to your schematic.